As much as we love our mobile devices, there is no denying that there can be some major pains when it comes to day-to-day operations. Given how much reliance we have on these little things for such important parts of our daily lives, it’s only natural that these little pains can build and feel like major annoyances. Having dealt with more than our share, both on our own devices and as the designated family tech support, we’ve decided to take a look at the most common problems which we see, in an attempt to make the overall experience a little better for everyone. 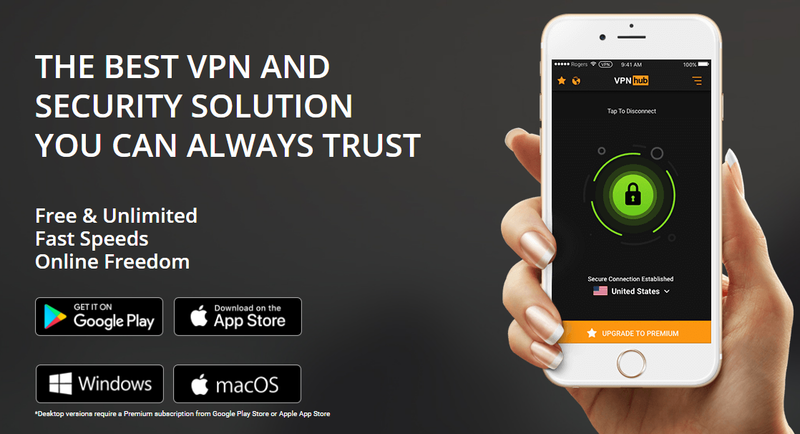 VPNhub is the latest unlimited and free VPN Service that you can easily trust without a doubt. The VPN lets you surf the internet and hide your information without a trace in the history. Pornhub has launched this fantastic VPN service with free and unlimited bandwidth so that you don’t fall prey to the eyes who are always peeping into your browser’s history. The apps for the same are already available in the app stores of Android and iOS. The Windows and MacOS users would need a premium subscription for the same. Like any other VPN service, it also helps the user in avoiding ISP-level website blocking or tracking and in keeping your browser activity private by encrypting your data, even if you are using a public Wi-Fi connection. VPNhub never collects, stores, sells and shares your personal information with the third parties for their advertising, marketing, or research purposes. It is believed that Pornhub launched its VPN service because of the government regulations on adult content online in the countries like the United Kingdom. However, that doesn’t mean that VPNhub is limited to browsing Pornhub only. You can browse any of all the websites without worrying about being caught by someone. Right from the get-go, you will be invited to choose the CyberGhost service you wish to unblock. Whether you simply want to surf anonymously, unblock streaming services, protect your Internet connection (WiFi or network), torrent anonymously, unblock basic websites or choose your own VPN service, you can do so, with the simple click of a button. And the good news is, that we have got 10 CyberGhost Premium Plus activation keys, each valid for "One year and 5 devices" (costing $69.99 each) for EXCLUSIVE free giveaway to our blog readers - read on how to participate. This profile activates all protection components and starts your preferred browser in incognito mode. You are invited to manually add extra features as well, but a default selection has already been made in our new Windows VPN app, so that you can fully enjoy the perks of the free Internet without worrying too much about technicalities. With nearly 5 million WiFi hotspots available worldwide, it’s easy to chat, shop online, pay for the services and work no matter where you are. Airports, hotels, coffee shops, malls, and parks have public WiFi hotspots. But except for travelers and freelancers, these places attract hackers and identity thieves. Even inexperienced cyber criminals can set up a rogue access point, so-called evil twin, perform a ‘man in the middle’ attack, and begin eavesdropping on / ‘sniffing’ your traffic. You might think you are talking to your friend and sent your password to a man-in-the-middle. You may think you are connecting to the Starbucks WiFi hotspot when actually connecting to an evil twin and letting someone install malware on your device or clone your identity. That is when WiFi Hotspot Protector comes in handy. This new security app is always on guard for the safety of your sensitive emails, credit card information, photos and passwords from your accounts. No need to stop using the speedy internet in WiFi hotspots. Each time you are using public hotspots with WiFi Hotspot Protector, you are safe. 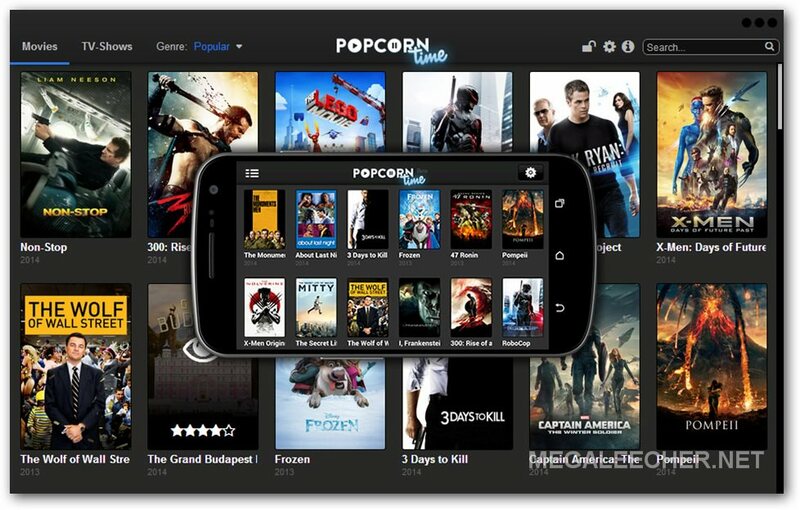 We posted about the open-source, cross-platform, free utility Popcorn Time a few months ago. The original application was taken down after threats by anti-piracy agencies, but was open-sourced which resulted in numerous forks making it virtually impossible to block the application (Don't forget to enjoy behind the scene story in this animated video from the developer shared below). A new avatar of the app now not only supports Netflix styled one-click, high-quality, movie and TV streaming but also allows user to enjoy the cover of privacy by providing seamless free VPN anonymity. This VPN feature will now automatically mask users' web traffic from their cable service providers, an Android application is also been developed for mobile usage. Sending even a basic document over the Internet is never a totally secure activity these days. 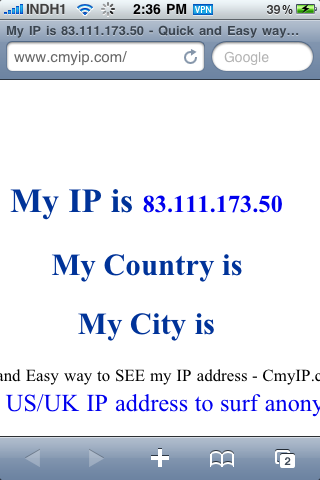 Why put up with this when there are virtual private networks, or VPNs, available? 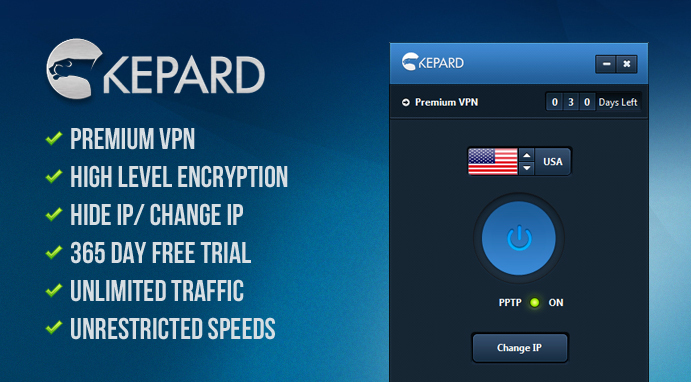 Kepard has some of the finest VPN service options available, and all of them can allow you to send images, documents, and data of all kinds - and without any fears of hackers or data theft. Using technologies such as encryption and advanced protection, this firm has developed a strong reputation for reliability and security. And now, you can enjoy this same top quality service because they are giving ten lucky people a chance to win VPN accounts. Winners each get ninety days of service, and will enjoy some of the safest surfing possible. It won't matter what OS, device, or preferences the winners have because Kepard has created a complete line of services meant to meet all client's needs. Some of the fastest up and down stream transfers will be enjoyed, and with servers in five countries around the globe, a customer can switch around and remain extra protected, and as often as they would like to do so. Is This Protection for Everyone? The entire Internet is at risk for hacking and viruses, and Kepard has the solution that eliminates all of these risks right away. So, this protection is ideal for everyone who uses the Internet. Each day, millions of people unknowingly experience threats from malware, viruses, tracking software, hackers, and more. Simply using your ISP can allow you to be tracked. This is why Kepard's VPN services are a good solution for those in the US, UK, and elsewhere. With Kepard, you get privacy, security, and flexibility. You can forget about risks or threats and simply enjoy the Internet and all it has to offer. Ready to Get In On This? With the internet becoming so important to everyday life these days, protecting your online presence is a vital step in smart web use. Leaving yourself vulnerable to identity thieves, hackers, and viruses is a sure way of giving yourself headaches in the future. 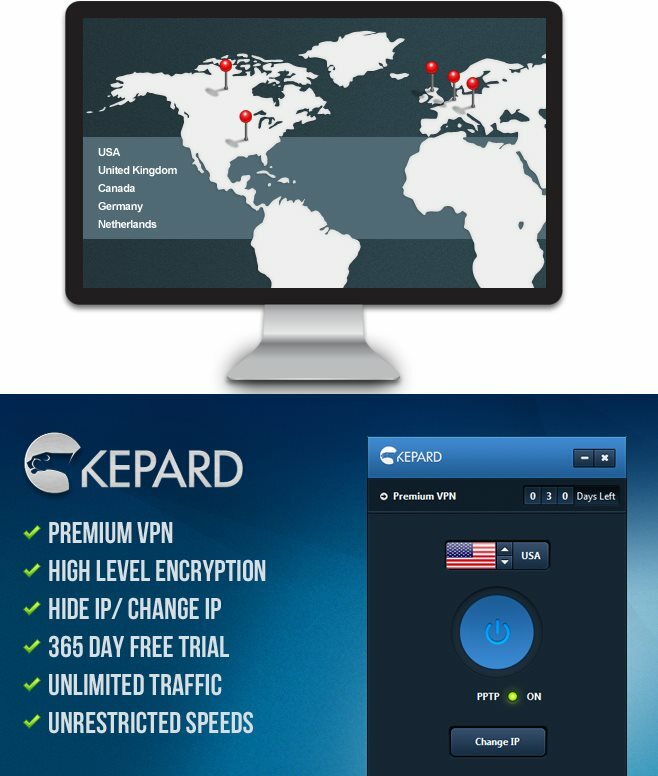 Fortunately, Kepard offers an excellent option for securing your web connection with the added bonus of web-censorship and geo-restriction bypass through its VPN service, and with its new giveaway, Kepard is giving you a chance to access the security and benefits of a premium VPN account for free. It has been quite some time we did our last free vpn account giveaway, here we are once again offering free European VPN accounts for our blog readers. Based on the popular open technology OpenVPN based European VPN service "VPNEuropa" offers complete internet anonymity safeguarding your data from getting examined by your ISP or hackers and bypass content restrictions. We have reviewed lots of free and paid VPN services on this blog and have always provided our readers with exclusive free accounts to try things out, so here we are once again with another VPN service review and free account giveaway. New VPN service WideVPN provides something no other VPN service we have reviewed so far offered - a selection of 200+ IP's from servers all over the world (US,UK,EU,CA,HK,JP,TW,SG,KR...) from a single-account, another good thing is WideVPN does not need any third-party client and works on Windows, Linux, Mac, iPhone or any other platform supporting PPTP or L2TP VPN protocols.